"The Skaergaard intrusion is a layered igneous intrusion in the Kangerlussuaq area, East Greenland. It comprises various rock types including gabbro, ferro diorite, anorthosite, and granophyre. Discovered by Lawrence Wager in 1931 during the British Arctic Air Route Expedition led by Gino Watkins, the intrusion has been important to the development of key concepts in igneous petrology, including magma differentiation and fractional crystallisation and the development of layering. The Skaergaard intrusion formed when tholeiitic magma was emplaced about 55 million years ago, during the initial opening of the North Atlantic Ocean. The body represents essentially a single pulse of magma, which crystallized from the bottom upward and the top downward. The intrusion is characterized by exceptionally well-developed cumulate layering defined by variations in the abundance of crystallizing olivine, pyroxene, plagioclase and magnetite." 48 valid minerals. 2 (TL) - type locality of valid minerals. Lindsley, D.H., Muir, I.D. (1969) Conditions of the ferrowollastonite-ferrohedenbergite inversion in the Skaergaard intrusion, East Greenland. 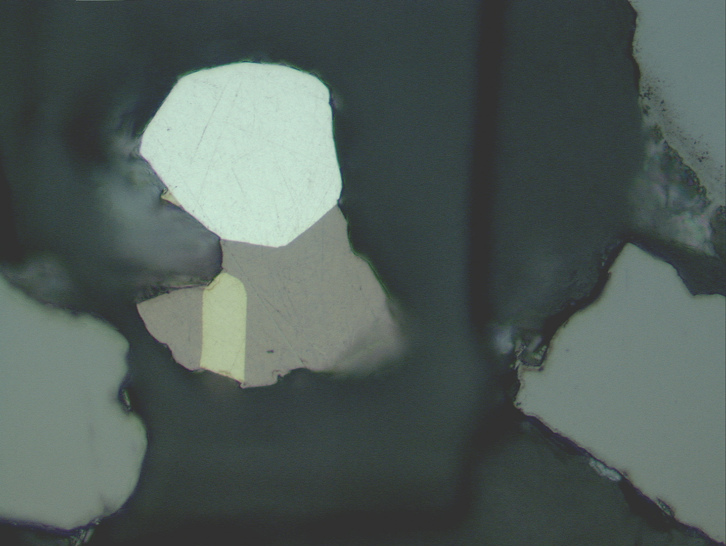 Mineralogical Society of America Special Paper: 2: 193-201. Manning, C.E., Bird, D.K. 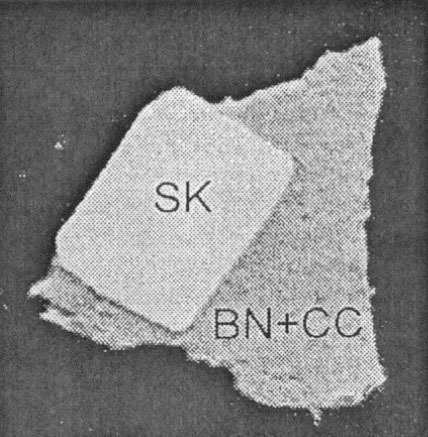 (1986) Hydrothermal clinopyroxenes of the Skaergaard intrusion. Contributions to Mineralogy and Petrology: 92: 437-447. Tegner, C. (1997) Iron in plagioclase as a monitor of the differentiation of the Skaergaard intrusion. Contributions to Mineralogy and Petrology: 128: 45-51. Rudashevsky, N.S., McDonald, A.M., Cabri, L.J., Nielsen, T.F.D., Stanley, C.J., Kretzer, Yu.L., Rudashevsky, V.N. 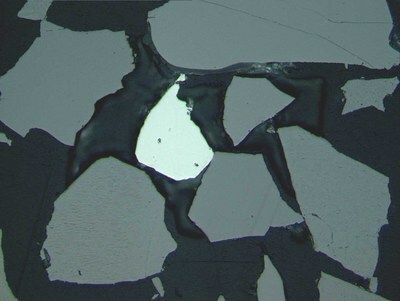 (2004) Skaergaardite, PdCu, a new platinum-group intermetallic mineral from the Skaergaard intrusion, Greenland. Mineralogical Magazine: 68(4): 615–632. Thomassen, B., Nielsen, T.F.D. (2006) Geology and Ore No. 6, Geological Survey of Denmark and Greenland (GEUS), February 2006. McDonald, A.M., Cabri, L.J., Rudashevsky, N.S., Stanley, C.J., Rudashevsky, V.N., Ross, K.C. (2008) Nielsenite, a new platinum-group intermetallic mineral species from the Skaergaard intrusion, Greenland. Canadian Mineralogist: 46: 709-716. Namur, O., Humphreys, M.C.S., Holness, M.B., Veksler, I.V. (2013) Solidification of interstitial melt in a gabbroic crystal mush: the Skaergaard intrusion, Greenland (Abstract). 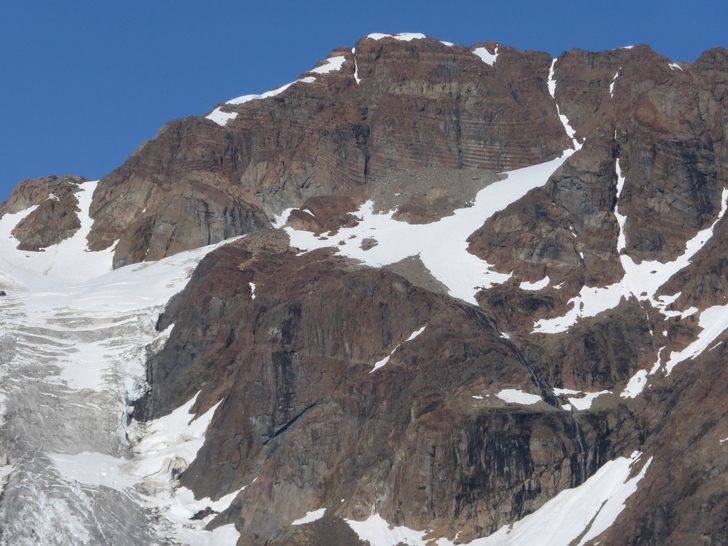 Geophysical Research Abstracts: 15: EGU2013-4290. Holwell, D.A., Keays, R.R., McDonald, I., Williams, M.R. (2015) Extreme enrichment of Se, Te, PGE and Au in Cu sulfide microdroplets: evidence from LA-ICP-MS analysis of sulfides in the Skaergaard Intrusion, east Greenland. Contributions to Mineralogy and Petrology: 170(5-6): 1-26. Holness, M.B., Nielsen, T.F.D., Tegner, C. (2017): The Skaergaard intrusion of East Greenland: paradigms, problems and new perspectives. Elements 13, 391-396. Morse, S.A., Davidson, J.P., Tepley III, F.J. (2017): Plagioclase zonation: an archive of trapped liquid and crustal contamination. Elements 13, 403-408.